This is my 1,000th blog post on Chasing Roots. I can barely wrap my head around that number, let alone around the amount of time I have spent creating content for the site. than I have now…no, I love this picture because four-year-old Will took it. At some point I realized that my life makes more sense - at least to me - in written form. Flannery O'Connor once said, "I write because I don't know what I think until I read what I say". As confusing as this explanation may seem, it suits me. When I look at my life, swirling around and coming at me from all sides, it's difficult to make sense of it all. But when I take the time to think through my experiences, write them down as if I'm explaining them to others, and then read them back to myself, my life comes into focus. Through the lens of this blog I more clearly recognize where I've come from, where I'm going, and how to get there. I'd like to extend my thanks to all of you who've been reading since the beginning (I believe that includes a grand total of five people: my husband, mom, sister, mom-in-law, and sis-in-law) and to all of you who've joined me over the last four-and-a-half years. I am extraordinarily grateful, because it is your support - the fact that you visit this blog and read my posts and comment when you feel moved to do so - that allows me to do what I love each and every day. Happy 1,000th post anniversary, Chasing Roots. Cheers to many, many more. 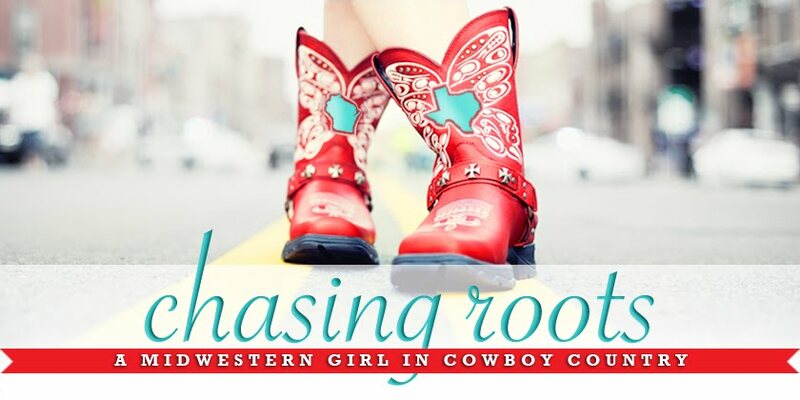 If you like what you read here, please consider following Chasing Roots by clicking "Join This Site" on the right-hand side of the page under "Followers", liking Chasing Roots on Facebook, and/or sharing your favorite posts in one way or another. Thank you!